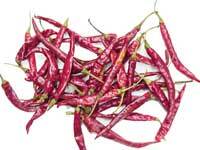 Health practitioners consider cayenne one of the most important herbs and a wonderful healer. Prized for thousand of years for its healing powers, recent clinical studies have been conducted on many of these old-time health applications and have validated cayenne’s medical value. Herbalists use it as a catalyst in many herbal combinations, thus aiding the absorption and effectiveness of the other herbs in the combination. The number of conditions that cayenne can be used for is quite extensive. Its most specific uses are for the digestive, circulatory, and respiratory systems.